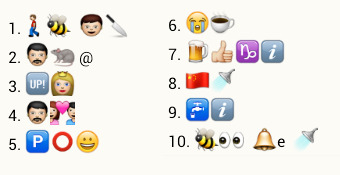 Can you identify the following 10 dishes from whatsapp Emoticons ? You can search for the required puzzle or keyword to check and get the answer for that. part from puzzles and riddles, this website also includes, jokes, Funny Pics, Malayalam Messages, jobs that are shared on WhatsApp etc.